Quite a few Academy Award-winners have come out of Connecticut–or live here now. 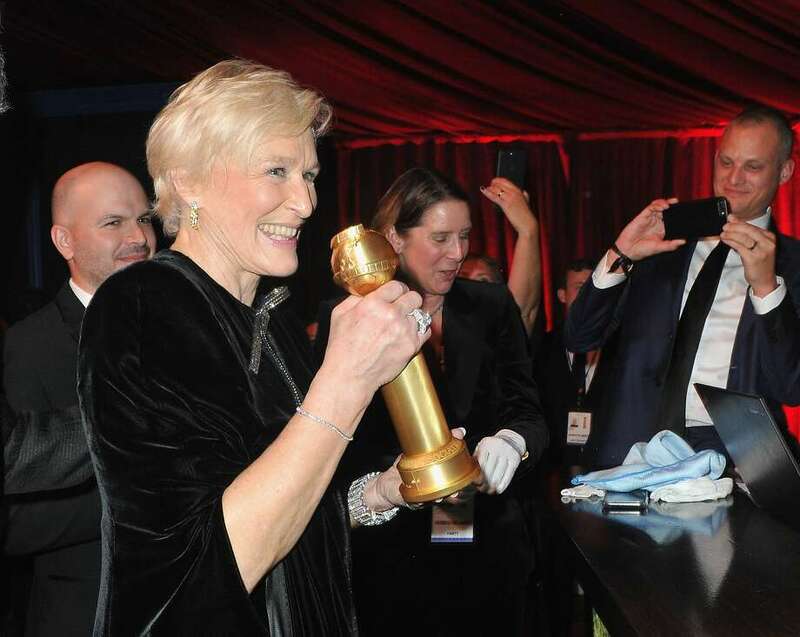 Click through to find out which Connecticut movie makers have brought home an Oscar. 2019 Oscar nominee for: Best actress in a leading role, "The Wife"
Best actress in a leading role (2018): "Three Billboards Outside Ebbing, Missouri"
Best actress in a leading role (1997): "Fargo"
Best actress in a supporting role (1980): "Kramer vs. Kramer"
Best actress in a leading role (1983): "Sophie's Choice"
Best actress in a leading role (2012): "The Iron Lady"
2018 nominee for Best Actor: "Phantom Thread"
Best actor in a leading role (1990): "My Left Foot: The Story of Christy Brown"
Best actor in a leading role (2008): "There Will Be Blood"
Best actor in a leading role (2013): "Lincoln"
Best original song (2018): "City of Stars" from "La La Land"
Best actor in a leading role (1956): "Marty"
Best actress in a leading role (1936): "Dangerous"
Best actress in a leading role (1939): "Jezebel"
Best director (1976): "One Flew Over the Cuckoo's Nest"
Best actress in a leading role (1989): "The Accused"
Best actress in a leading role (1992): "The Silence of the Lambs"
Best actress in a leading role (1934): "Morning Glory"
Best actress in a leading role (1968): "Guess Who's Coming to Dinner"
Best actress in a leading role (1969): "The Lion in Winter"
Best actress in a leading role (1982): "On Golden Pond"
(Director) Best picture (2002): "A Beautiful Mind"
Best director (2002): "A Beautiful Mind"
Best actor in a leading role (1987): "The Color of Money"
Best actress in a supporting role (2014): "12 Years a Slave"
Best actor in a supporting role (1977): "All the President's Men"
Best actor in a supporting role (1978): "Julia"
Best actor in a supporting role (1979): "The Deer Hunter"
(Producer) Best picture (1999): "Shakespeare in Love"
(Actor) Best picture (2013): "Argo"
Best actress in a supporting role (2004): "Cold Mountain"